The experiment to produce a range of fresh fruit liqueurs continues with this hedgerow extravaganza! Following the same principles as the Raspberry Gin recipe, this uses blackberries picked straight from the hedgerow (or failing that, straight from the supermarket) in September, giving a great tipple ready for drinking just in time for Christmas! The full fruitiness of the blackberries means you don’t need to balance this with quite so much sugar as some of my other fruit liqueurs. One big warning though – make sure you DO strain out the fruit, and don’t leave it for any more than 3 months in the bottle or else the contents do start to be overpowered by a ‘woody’ taste. Instead, why not just chuck the macerated fruit into the bottom of a Pyrex and turn into an alcoholic blackberry crumble? Strain into a large bowl through a layer of muslin – leave to drip and do not squeeze! Sounds a great recipe ! Only hope I can wait 4 months before I can drink it ! Patience is a virtue – you’ll be glad you held out! Hi Helen – no problems. Hope you enjoy the recipe! would it be ok to use blackberries that have been in the frezzer. Hi Janice – frozen fruit works really well, the freezing process makes the fruit break down faster so you may not have to wait quite so long for this to mature. Just knock off any ice, or if you let them defrost, make sure you catch all of the juice! Just bottled mine after more like 5 months than 3 (whoops!!). Any suggestions on things to be done with boozy blackberries leftover? Seems a shame to bin them. 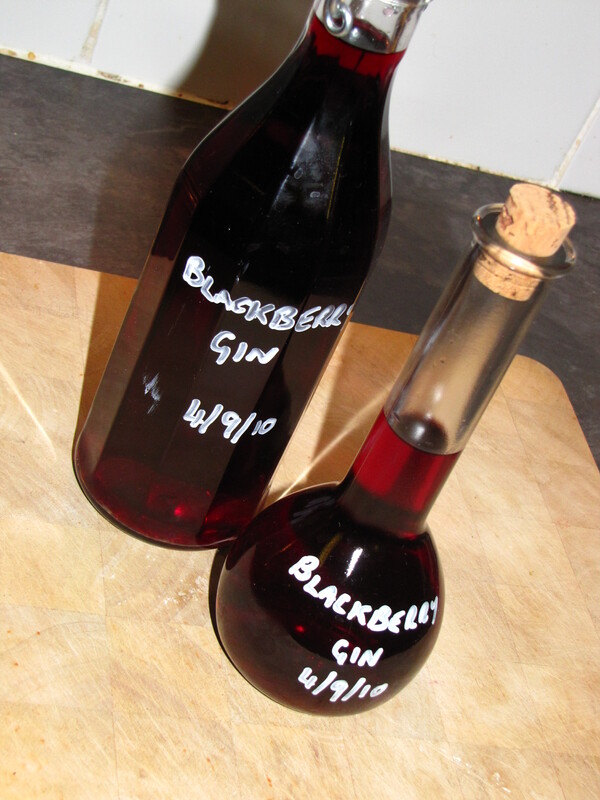 Pingback: Eighteen: Bramble Gin – I Made That! From Andy Damp . Do I just shake the jar at the beginning only . And leave or can I occasionally give the jar a shake ? Hi Andy, keep shaking periodically until the sugar has dissolved, this may take a few days. After that you can just leave it alone to steep. Sugar is important not only for the sweetness but also the syrupy consistence. It’s all a matter of personal taste, and without it, the fruit juices will macerate out into the spirit. If it’s low carb to reduce the calories, I’d give up and just eat the fruit!